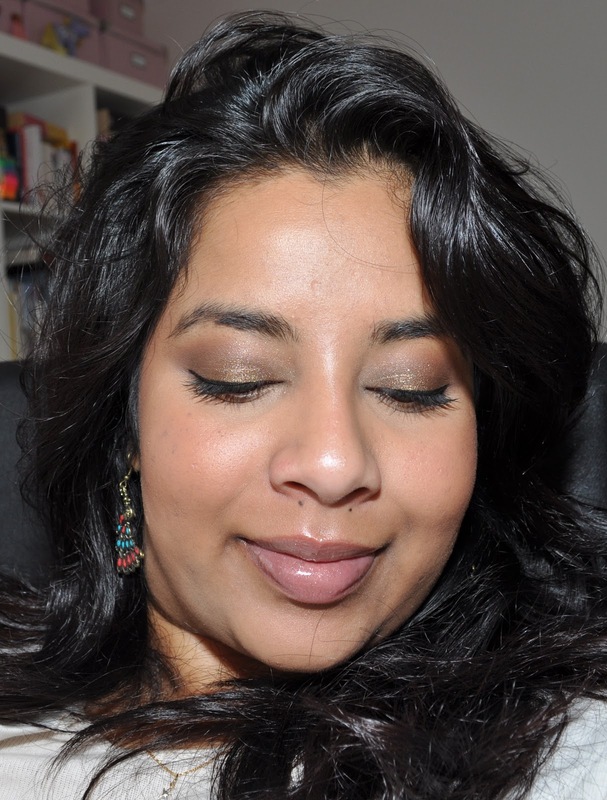 Illamasqua’s Ore Pure Pigment is one of the most beautiful pigments I’ve ever tried. I always describe it as sophisticated glitter which some of my more glitter-phobic friends tell me is an oxymoron but I think the description fits. I love the little container it comes in but it took me so long to figure out how to open it! FYI, you need to basically get your nail under the lid and pop it open. 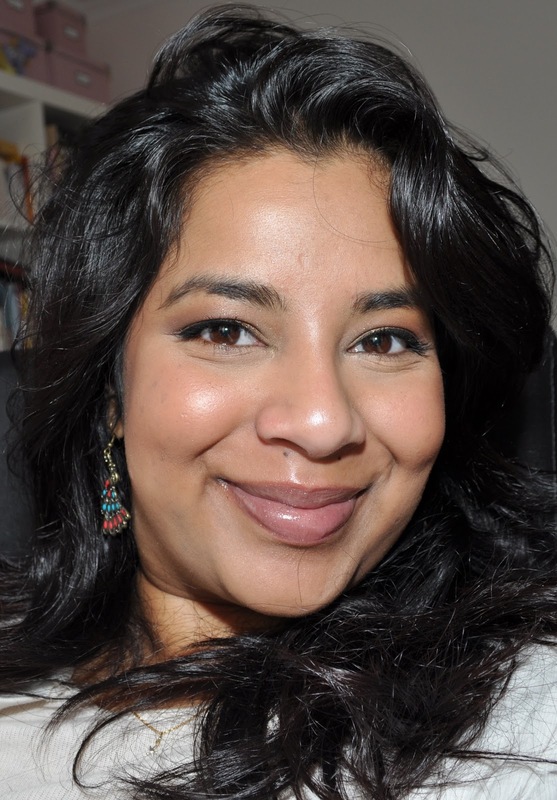 Be careful though because, as a loose pigment, it tends to go everywhere and I mean EVERYWHERE! I open this baby up and I can see a cloud of fine shimmer floating in the air. 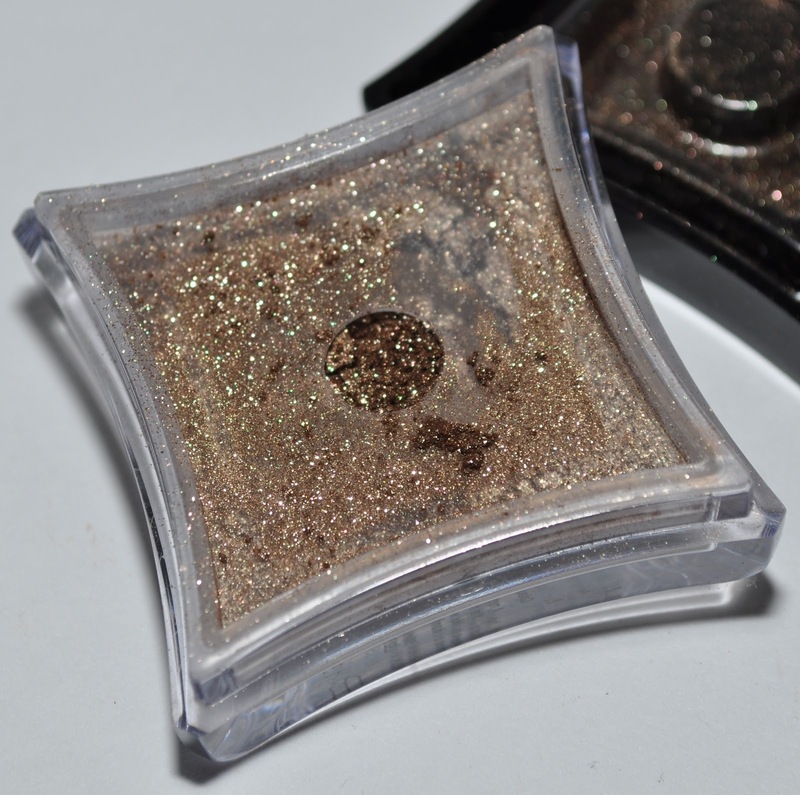 The shade is a beautiful bronzey taupe which has red and green flecks running through it. 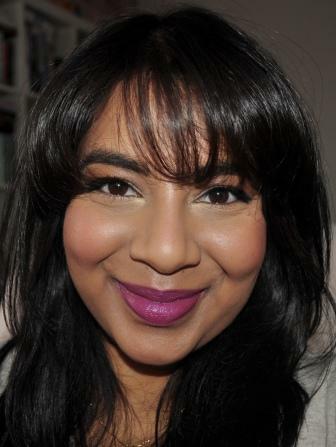 It was love at first try for me when the Illamasqua MUA applied this over the gold eyeshadow I was already wearing. 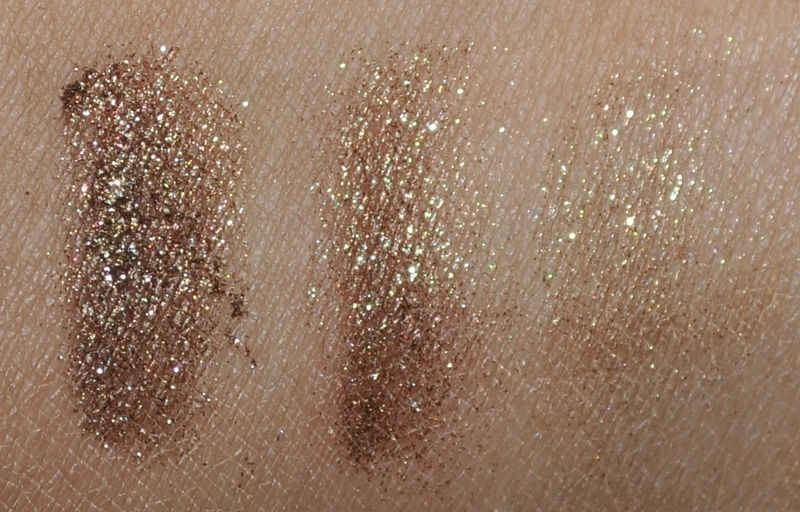 I tried to swatch it but the beauty of this product is really hard to capture. 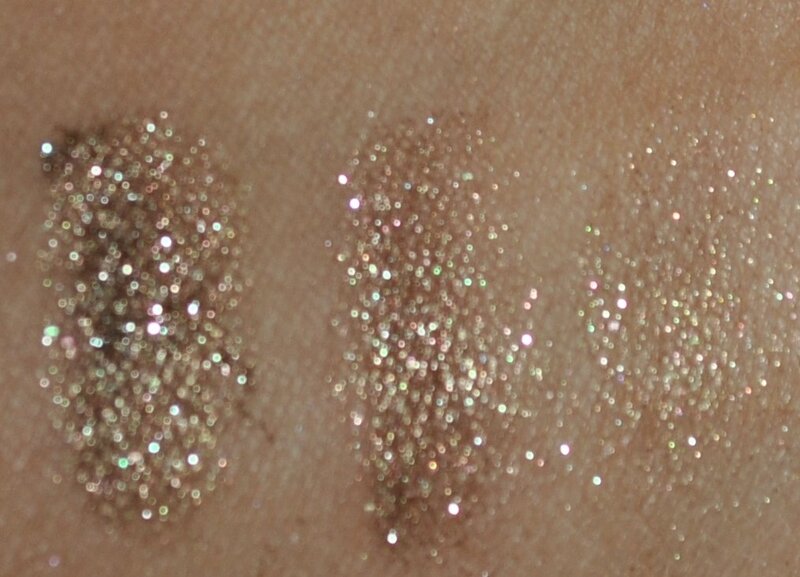 It’s really metallic but is also such a rich and complex shade and it leans more cool or warm depending on the light it’s under. You can also use this shadow applied wet but I don’t like the end result as I feel like it becomes one big metallic blob and loses some of its depth. 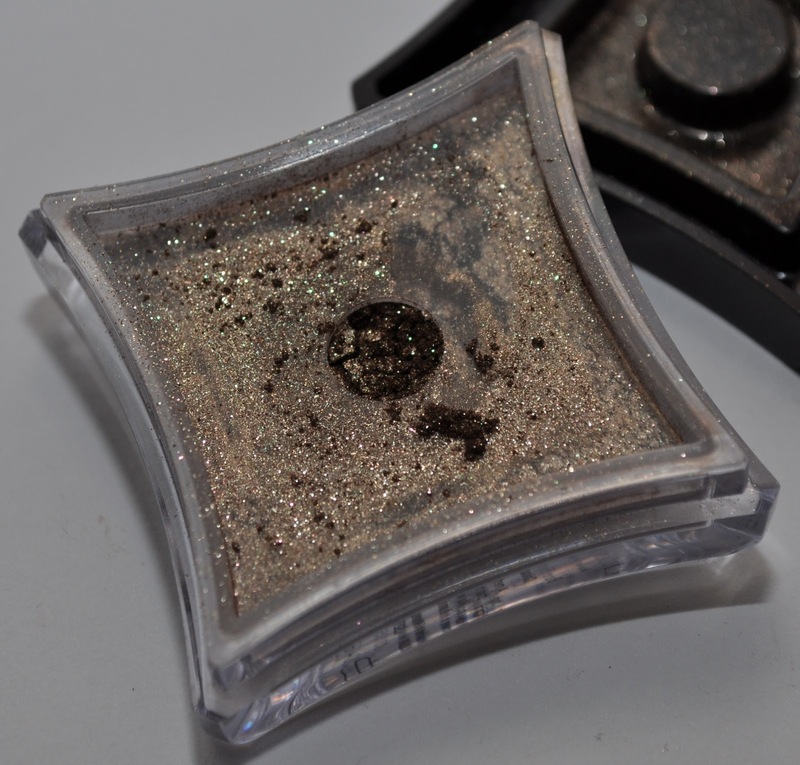 This last picture is blurry but it really picks up the reflective quality of this pigment. 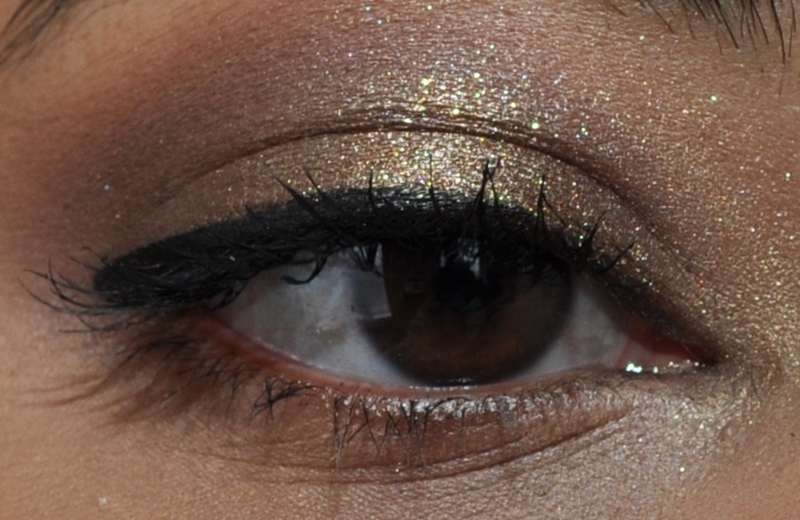 I decided to try out a quick EOTD for you using Illamasqua Ore applied over Chanel Illusion D’Ombre in Illusoire. 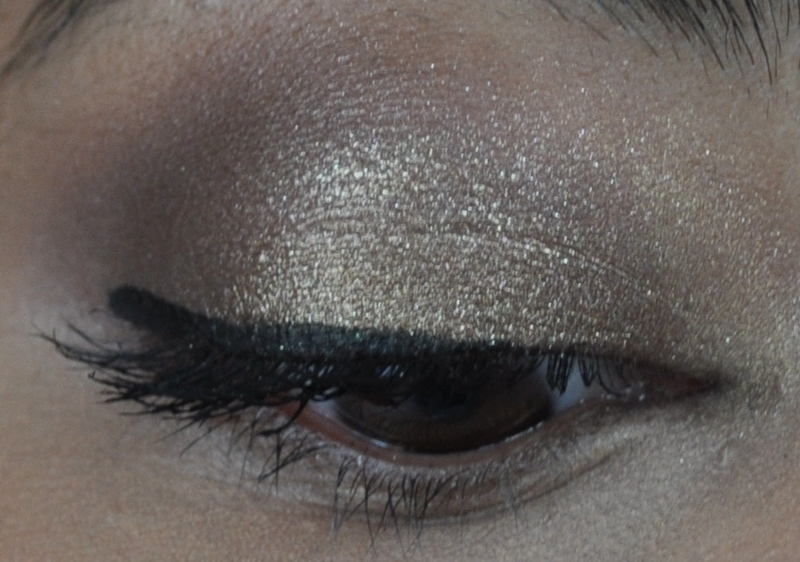 I took this picture a while ago and can’t remember exactly what I used but I’m assuming that I also applied some MAC Cork eyeshadow into the crease. 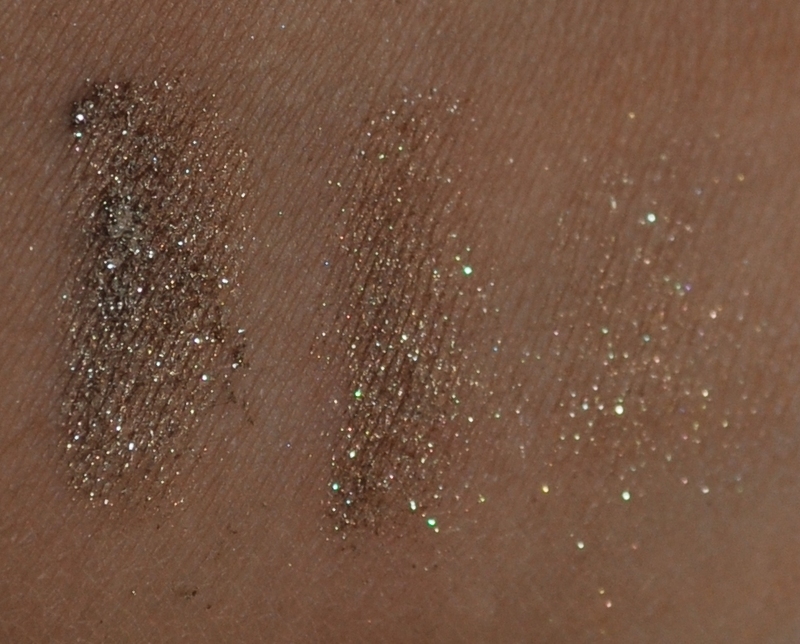 Even though it looks super shimmery in the pot, on the face the effect is really subtle and no one would ever look at you and think you were wearing glitter. 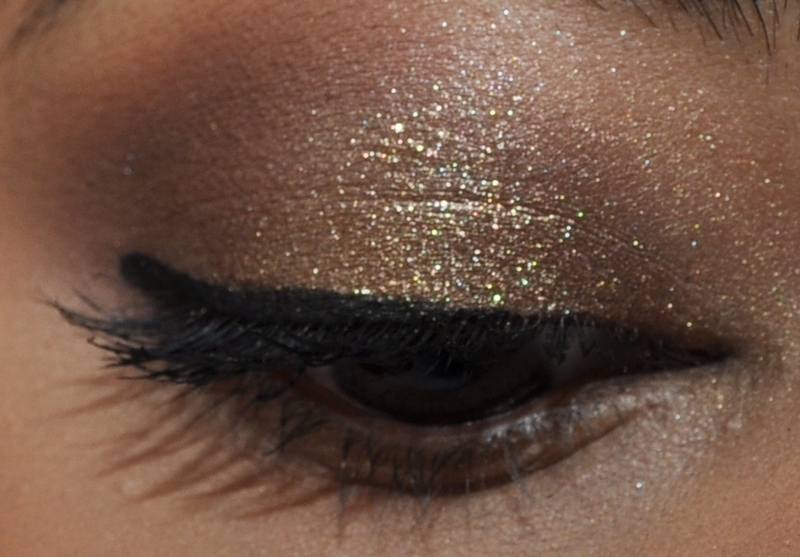 I like to use it on its own on top of a cream shadow but I’ve also used it as a finishing touch to my bronze and gold EOTD’s with much success. I purchased mine for $39 AU but it’s £15.50 from the Illamasqua site and $24 US from Sephora. I was on the online waiting list for this but it was taking so long to restock that I just went and bought it instore… only to get an email literally 3 hours later telling me it had restocked! Doh! 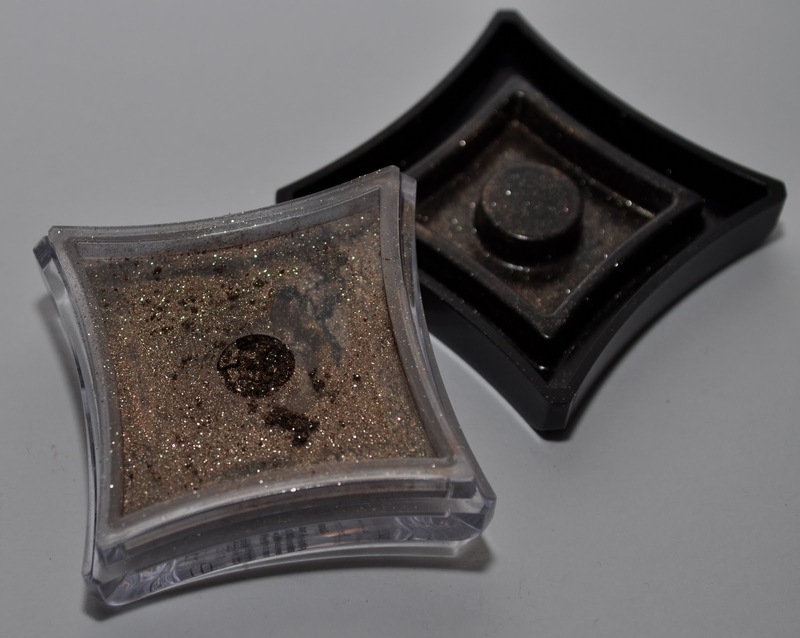 You get 0.04oz worth of product in the container versus 0.15oz in a MAC pigment which is a substantial difference considering they sell for the same price in Australia. 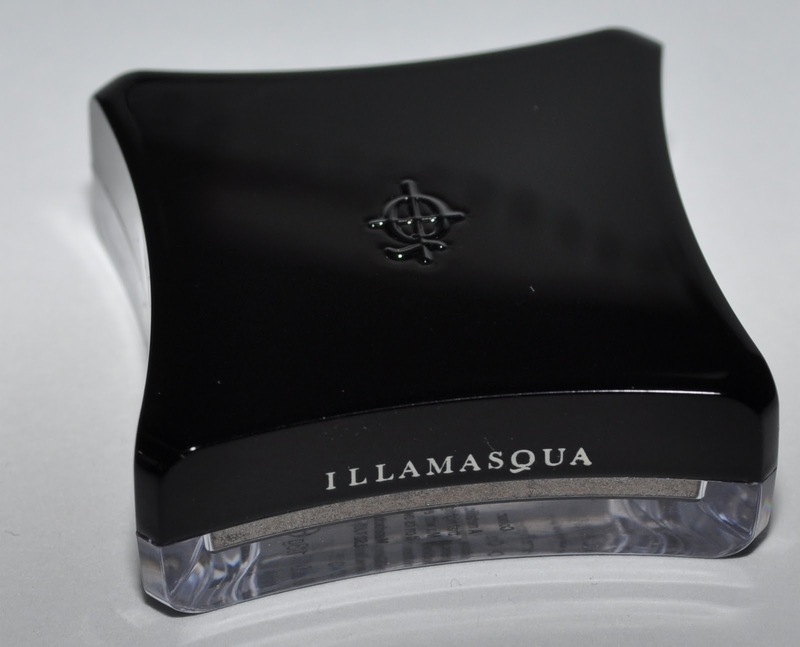 At the end of the day, while I think the Illamasqua pigments should be cheaper for such a minimal amount of product, I don’t have issues with the size itself because I’ll never get through a whole container. I still recommend this shade and think it’s worth checking out. What do you think of Illamsqua Ore? What’s your favourite way to apply it? Let me know below! These are so lovely! I just wish they weren’t so messy to apply!